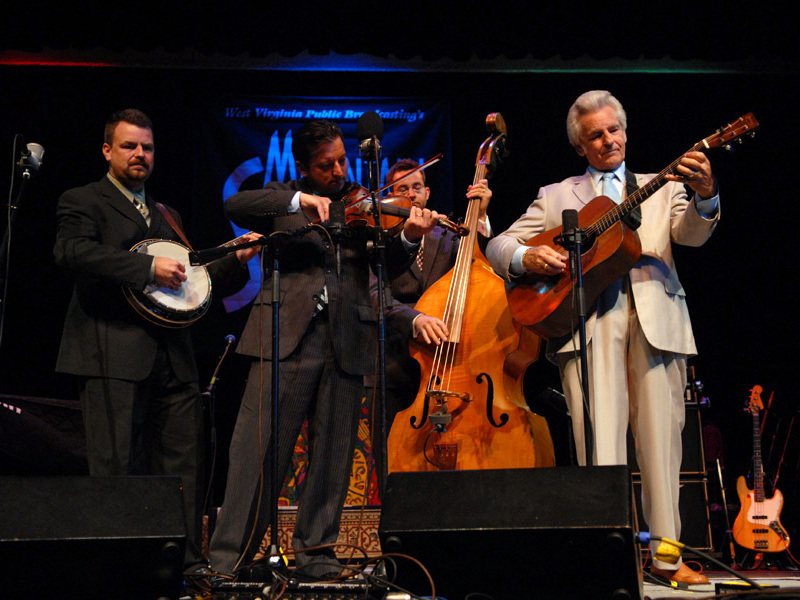 The Del McCoury Band On Mountain Stage This fall, bluegrass veteran Del McCoury celebrates 50 years in the music business. With his trademark high tenor sounding as distinct and sharp as ever, McCoury shows no signs of slowing down. His band recently performed in Bristol, Tenn./Va., for Mountain Stage. 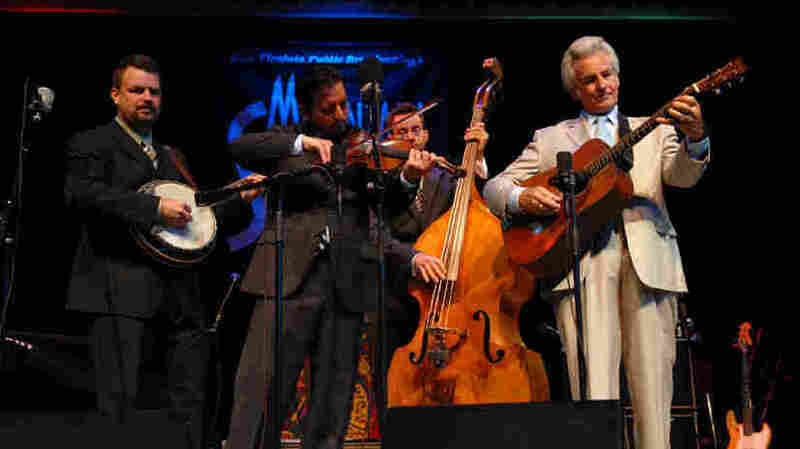 The Del McCoury Band performed on Mountain Stage. "40 Acres and a Fool"
This spring, bluegrass veteran Del McCoury celebrates 50 years in the music business with a box-set retrospective showcasing 10 songs from each of his career's five decades. With his trademark high tenor sounding as distinct and sharp as ever, McCoury shows no signs of slowing down. Alongside sons Ronnie McCoury on mandolin and Rob McCoury on banjo, Jason Carter on fiddle and Alan Bartram on bass, The Del McCoury Band performs at the Paramount Center in Bristol, Tenn./Va. McCoury's release, Moneyland, is named for a song written by Greenbriar Boy John Herald, who appeared on Mountain Stage in 1989. The album provides varied perspectives on the plight of modern American factory workers, farmers and miners who are in fear of losing their pensions and shaken by unstable Social Security. Amidst the current economic turmoil, the foresight of Moneyland illustrates that Middle America has been feeling the pinch long before Wall Street's most recent struggles. While the subject matter is tense, there's always room for a bit of lightheartedness in McCoury's world, as evidenced by the humorous "40 Acres and a Fool." McCoury also performs "Are You Teasing Me" in his set for Mountain Stage. The song was originally recorded by country and rockabilly singer Carl Smith, who fathered another of this week's Mountain Stage guests: Carlene Carter. Afterwards, The Del McCoury Band's harmonies glow during the murder ballad "Who Showed Who," and the set closes with the group's longtime signature, a cover of Richard Thompson's "1952 Vincent Black Lightning." This segment originally ran Oct. 14, 2008.